Choosing the top Bookkeeping Basics fundamentals from so many important, yet very different, accounting activities is a hard task to do. 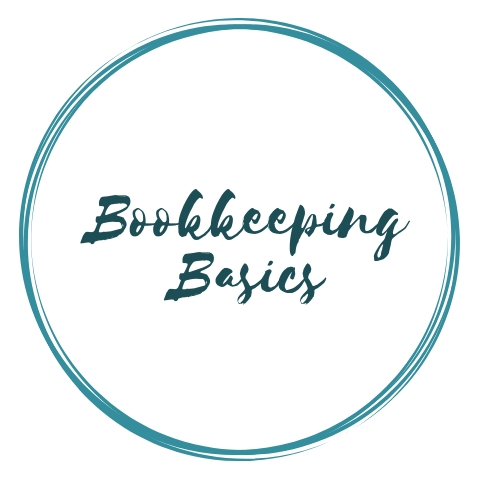 So let me help a little by doing that for you and picking three of the top fundamental aspects of bookkeeping you should know that will be most helpful for you in your business. The first recommendation is to obtain a federal tax identification number which is otherwise known as an EIN, or Employer Identification Number. Even if you don't have or never plan on having employees, you should obtain an EIN. Why? Quite simply, because it is a smart safety precaution! This way you can use your EIN for all business matters instead of your individual SSN (Social Security Number), which is something you never want to put in the wrong hands. You may apply for an Employer Identification Number in various ways, but I recommend online. This is the quickest and easiest way to go and is a free service offered by the Internal Revenue Service (IRS). You may also want to check with your state to see if you need a state number or charter. The second recommendation is, if you haven't done so already, you should always make sure to open separate business checking and savings accounts. People tend to underestimate how crucial this is to the foundation of their business. But this is definitely one of the important basics of bookkeeping. Keeping your personal finances and business bookkeeping accounts separate may sound like more of a headache. But believe me; it will actually save you a headache. When it comes time to gather all of your income tax information at the end of each year, you are going to be very thankful that you had separate bookkeeping accounts from the beginning. Plus, there are very important IRS rules against the co-mingling of accounts. I signed up for my business bookkeeping accounts at a different bank than where I do my personal finances banking. Just personal preference, but I like keeping my interests separate from each other. You should do whatever makes you feel most comfortable. I do recommend that wherever you decide to do your banking, to also sign up for online access to your accounts. I know many people are reluctant to do online banking, but I find doing my bookkeeping via online banking to be very convenient and safe. Downloading transactions can save you a lot of time and energy which you can then put toward the things you really enjoy doing with your business! I also highly recommend utilizing an accounting software to help keep track of your business finances. The last thing you want to spend your time doing is writing out your bookkeeping the old fashioned manual way. There really are a lot of computer software programs to choose from. I definitely would NOT recommend MS Money for your business bookkeeping. MS Money is great for keeping track of your personal finances, (this is what I use and DO recommend for personal finances) just not for business. Quicken is only recommended for either personal or small business bookkeeping. It's oversimplified and so not very user friendly for larger business bookkeeping. I'm sure you have all heard of QuickBooks. This is what I use and would definitely recommend to you as well. It is easy to use and comes with many bookkeeping tutorials built right in. There are several different versions that are business specific. 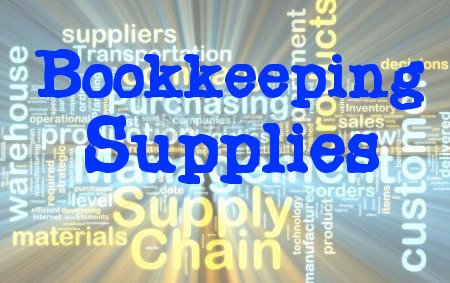 Check out the Bookkeeping Supplies Store for a detailed list of the different software available, all at discount prices. Of course, there are many more than just three important bookkeeping basics. These were just to help get you started. Bookkeeping 101 Financial Ratios will teach you the eight financial ratios that you really need to know. You know that being a business owner requires a wide variety of skills and knowledge. Take financial ratios, for example. For a business owner, there are a number of financial ratios that can be analyzed. But for bookkeeping 101 purposes, there are eight that every business owner must consider. Bookkeeping 101 For Business Owners shows that money can be thought of as the fuel that powers your business. If your business uses more money than it earns, you will eventually run out of fuel and your business will simply come to a stop. If money is like the fuel in your car, then your business plan and financial reports can be viewed as the speedometer and other gauges – your dashboard. By regularly looking at your financials you can measure the worth and health of your business. A partnership is a special legal entity that can pose unique challenges for business owners. Partnerships are similar to marriages. They can work exceptionally well if the owners communicate well. Bookkeeping 101 For Partnerships will teach you why bookkeeping is one of the most important functions the partners need to coordinate. Many business owners fill a number of roles in their company: Chief Executive Officer, Operations Manager, Personnel Manager, Purchaser, Buyer, Controller and even Customer Service and Sales Manager! The list can be overwhelming and so can the job. Bookkeeping 101 Chief Financial Officer will help you determine if you need a CFO. Do you know the areas of hidden cash in your business? Yes, it’s true, there are areas in your business that could be hiding cash. And, your business may have more cash than you realize. Now, would that not be a great surprise if you can identify those areas in your business? Using Bookkeeping And Cash Flow analysis can help you find it. Do you know the key Bookkeeping Basics For Business Owners? Well, the first thing to consider is that no matter what business you’re in, you need money to make it run. But simply having or making is not enough to successfully run a business. It also takes knowledge. And one of the key pieces of knowledge a business owner or CEO needs to have is knowledge about their businesses bookkeeping. You are a business owner and you know your Bookkeeping Basics Key Financial Metrics… Or, do you? You have your hands full trying to run and build a great business. Bookkeeping Offers Predictive Accounting. Accounting is typically a backward looking field, because it relies on historical data. However, that data can often be very useful for making future decisions. You may want to ask your bookkeeping company about predictive accounting and the value it could bring to your company. Get valuable Bookkeeping Tips and important bookkeeping and financial advice. Read the top five tips for a smoother, more efficient tax time along with the top four bookkeeping tips on tips.